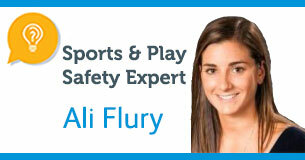 Ali is the sports safety program manager for Safe Kids with extensive experience in planning, implementing and evaluating programs across the United States. Ali also plays professional lacrosse for the Boston Storm of the United Women's Lacrosse League. An expert from Safe Kids offers advice to parents who want to make sure that kids and teens swim safely in open water.